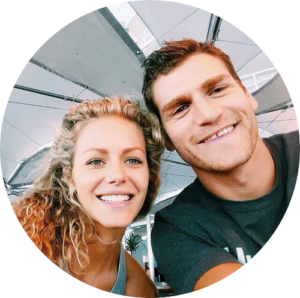 Thinking of taking a trip to Namibia and need ideas about the things to do, places to visit and where to stay? 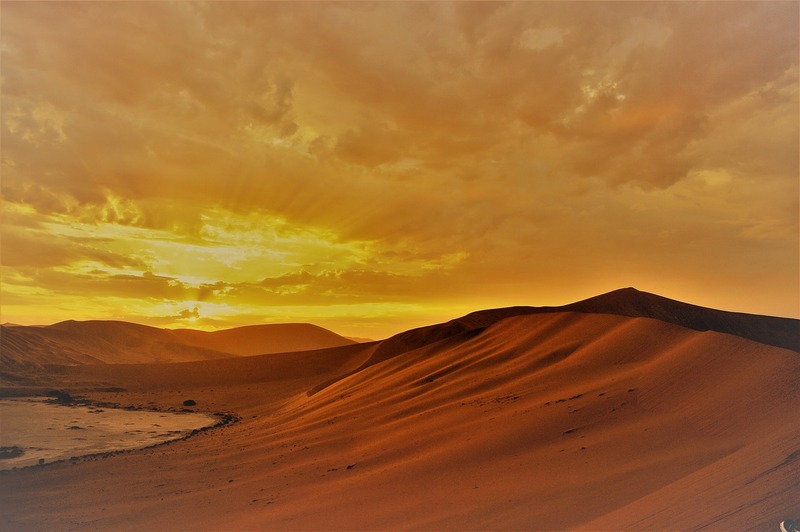 This article is for you as it will be focusing on giving you various options and details of great places to visit in Namibia. 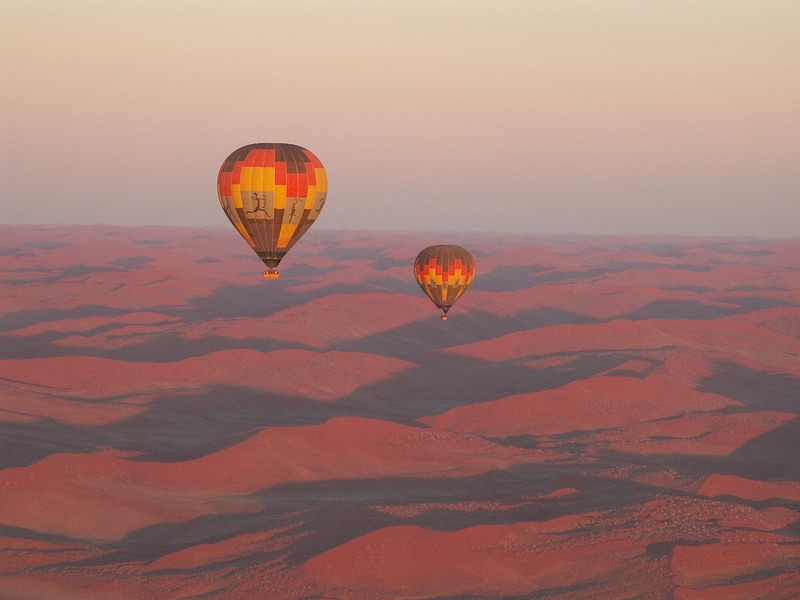 The journey begins at dawn when you get to watch the sun rise over the Namib Naukluft National Park and fly over dunes that closely resemble play-dough. 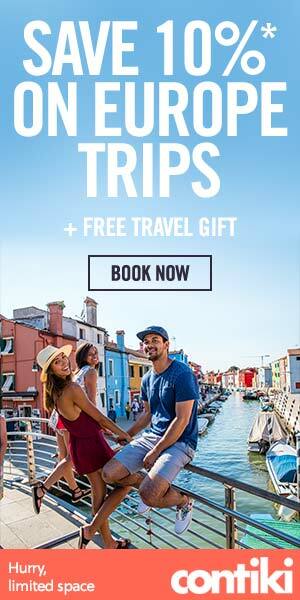 A glance at the pictures will tempt you to book a flight and go experience this adventure for yourself. You will have to hold on to the basket while you tip over on impact, this is exciting and often regarded as Sports Landing. After this, you will be offered a lavish breakfast which will be laid out for everyone at the foot of one of the many dunes. This is simply an amazing place to be. 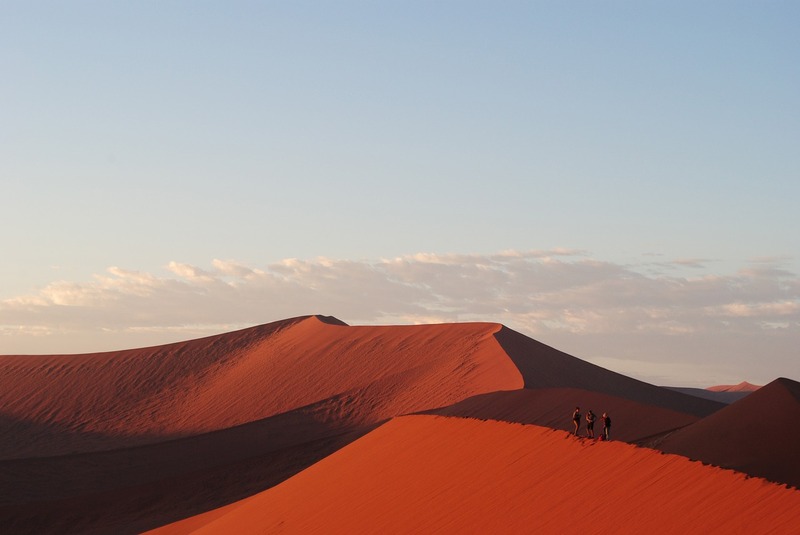 Virtually all the tourists or visitors who visit Namibia want to see the unique red dunes of the Namib. Going there in the afternoon is more advisable to avoid the hoards of other tourists. The Deadvlei is a very beautiful cracked mud plain with dead trees all over it. 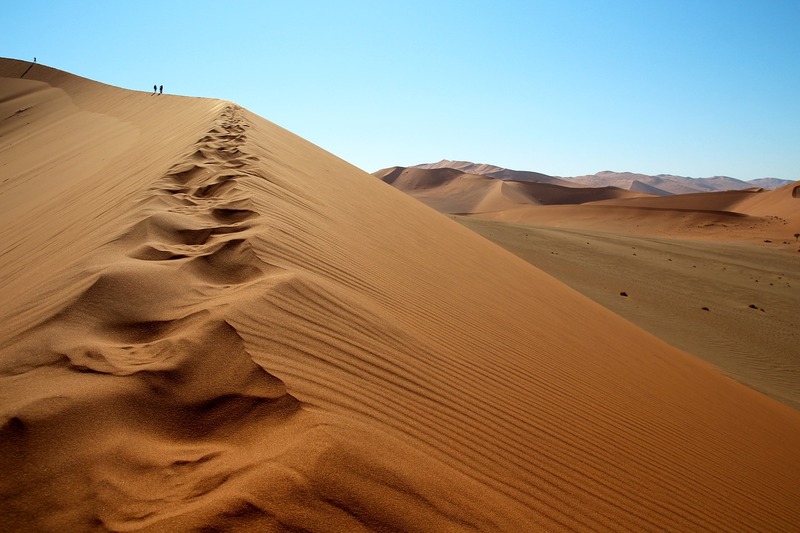 The placement of apricot dunes and other natural elements makes it an impressive sight. This is one of the places that attracts a lot of tourists to Namibia. The park closes at sunset and you will spend about an hour getting to the park from Soussuvlei so plan your trip well. 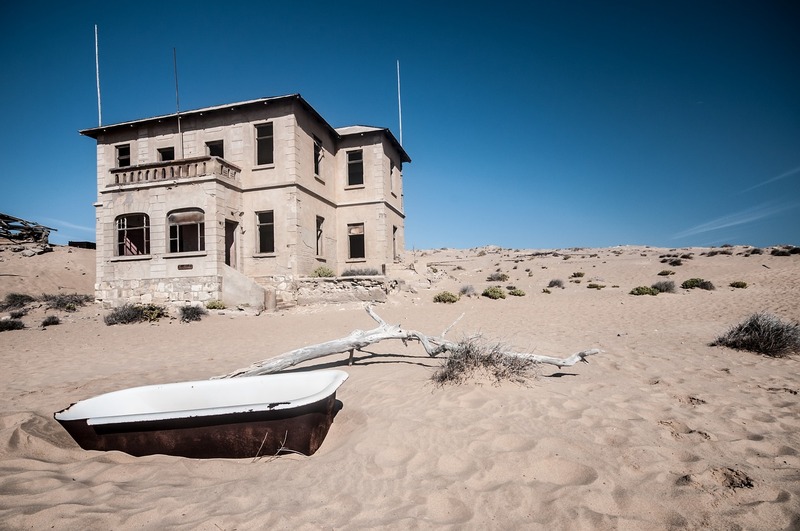 This is a unique spot that has been described as an eerie ghost town located right outside Luderitz. Kolmanskop sprung up at the time when people found diamonds in the dunes in the desert. There are no inhabitants in the town as they have all moved on to other towns where there are bigger diamonds. For more than 50 years, nobody has lived there and the whole place has been taken over by the desert. There is a bowling alley, a town hall, a butchery and several houses. You will find a lot of fascinating things to take pictures of. 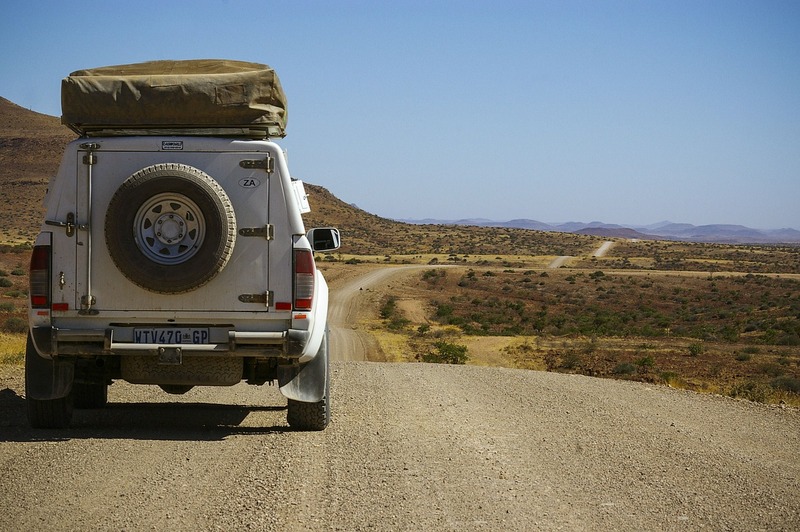 You will go through these roads on your way to the NamibRand Private Nature Reserve. The roads are straight, long, red and dusty with mountains, and grassy plains surrounding them. It is of course, quiet scenery and this enhances the view of the road in a way. You will just have to marvel at the whole image should you find yourself somewhere in the middle of the road. 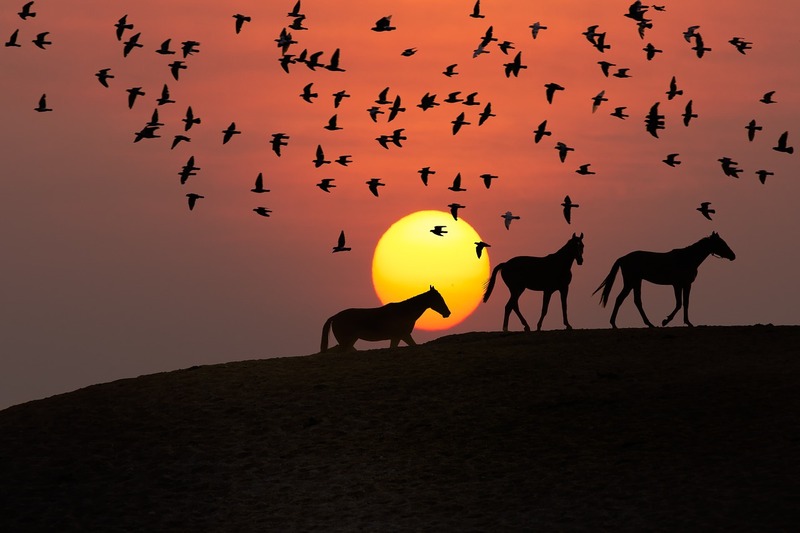 It is unknown where these wild horses in the desert are from Although rumors have it that the South Africa millitary or a local farmers own them. Seeing these creatures under the light from a sunset is quite a beautiful sight. Make sure you have your camera ready to capture different moments and shots of these beauties. On the B2 road from Aus to Luderitz, the horses can be found right at the waterhole on the right. You may as well watch out for the signpost marked “Wild Horses” and follow it. Even if it’s your first-time sand boarding, you’ll definitely enjoy doing it. You will get to go down a very steep sand dune at a high speed while lying on a piece of hardwood on your stomach. You will pay R385 for stand-up sand boarding while you will pay R280 for lie-down sand boarding. This price includes transport to and from the location, sand boarding, lunch with beer. Sounds great, doesn’t it? For more cool things to do in this are, check out these top things do to in Swakopmund. 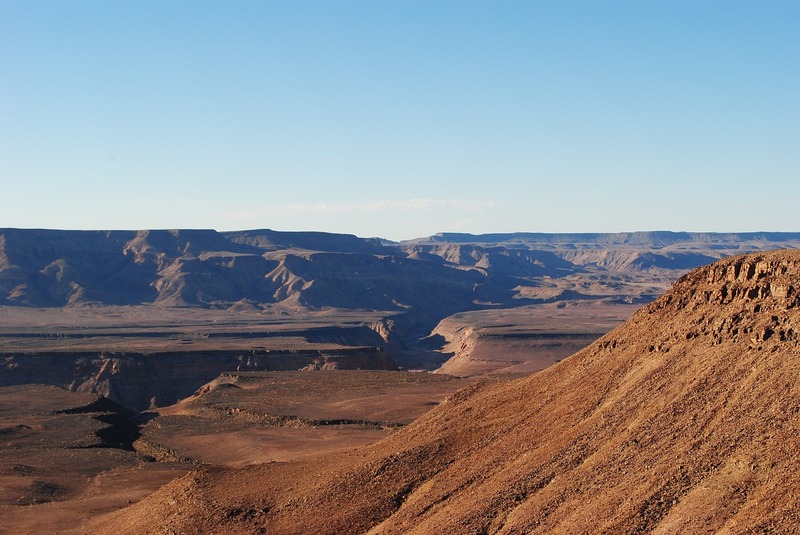 The Fish River Canyon is quite a spectacular sight to behold. It is only a few minutes drive to the NWR’s Ai-Ais Camp where there are some hot springs where you can enjoy a steaming hot soak. Getting into the heated springs after all the activities of the day will make you relaxed and refreshed. The Ai-Ais camp is also not far from the border leading into South Africa and is quite a great place to stay for a few days. 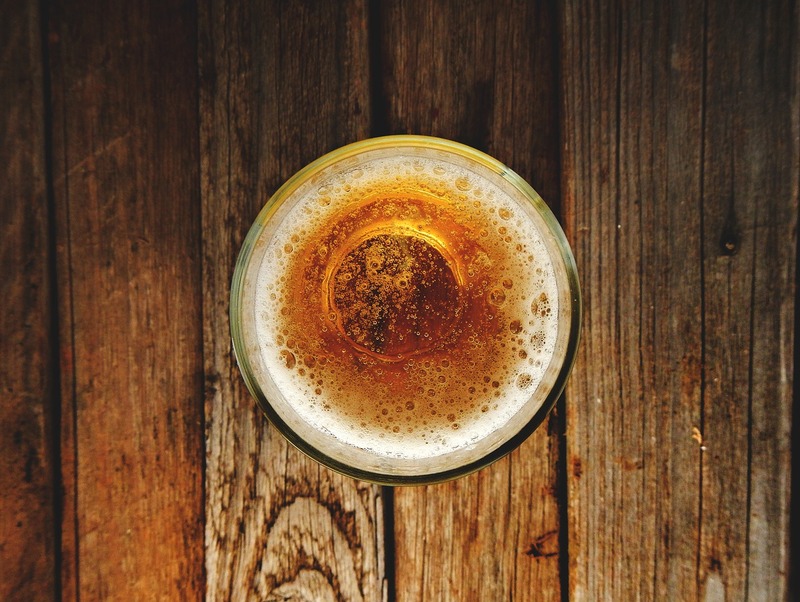 Camelthorn Beer is an excellent beer made in Namibia and can be found at Swakopmund Brauhaus’s popular restaurant, the Tug. So once you get to Namibia, be on the look out for this beer so you can have enough of it before the end of your visit. Of course, the Camelthorn beer can be found all over Namibia so getting it is not really a problem. Just make sure you taste it. This is a little oasis on the side of the road and all you have to do is just stop and walk in. 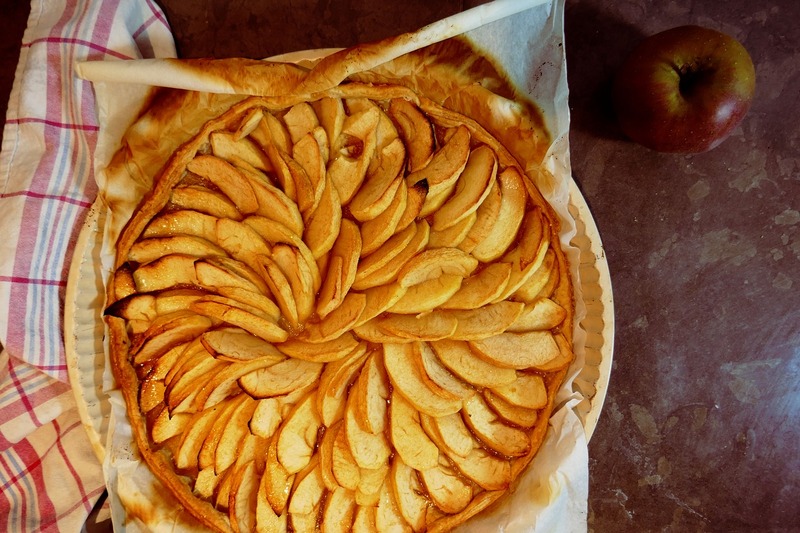 You will see a petrol station, restaurant, accommodation, general dealer, a bakery where delicious apple pie is sold. You can always make a stop here on your way to either Windhoek or Swakop. Even if you’re not hungry, you should stop by and take some of the delicious treats along for the road trip. Most hotels in Namibia are sufficient for a night stay but if you want to treat yourself to the best of comfort, you should check out the following hotels. 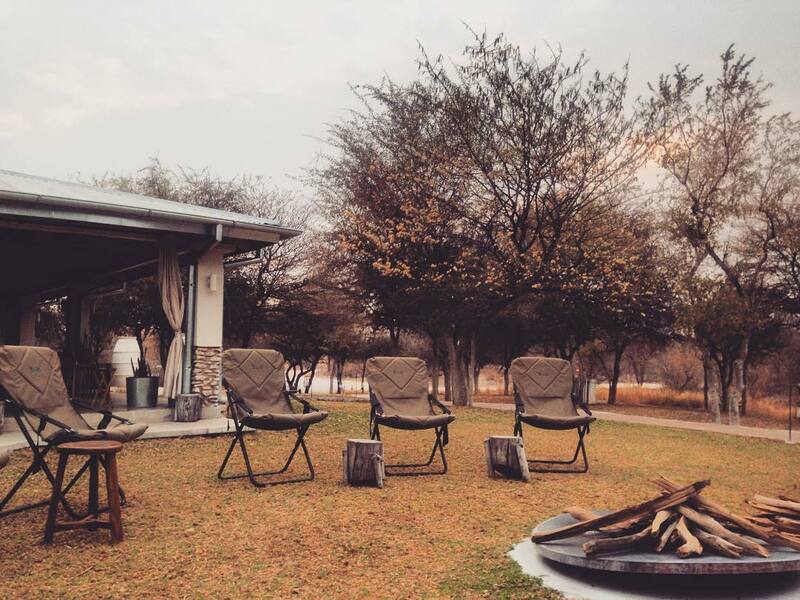 This is very close to the Etosha National Park and is the premier lodge for the Onguma Game Reserve. 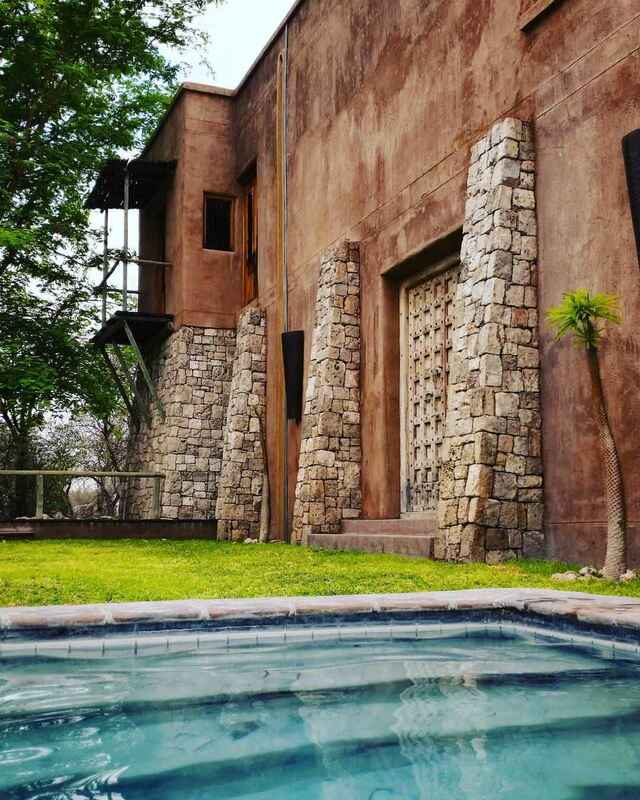 The Moroccan-styled architecture is complimented with local Namibian elements and vivid colors and materials. Expect top-notch customer service, lion sightings at the nearby water holes and full-sized swimming pools for your leisure. 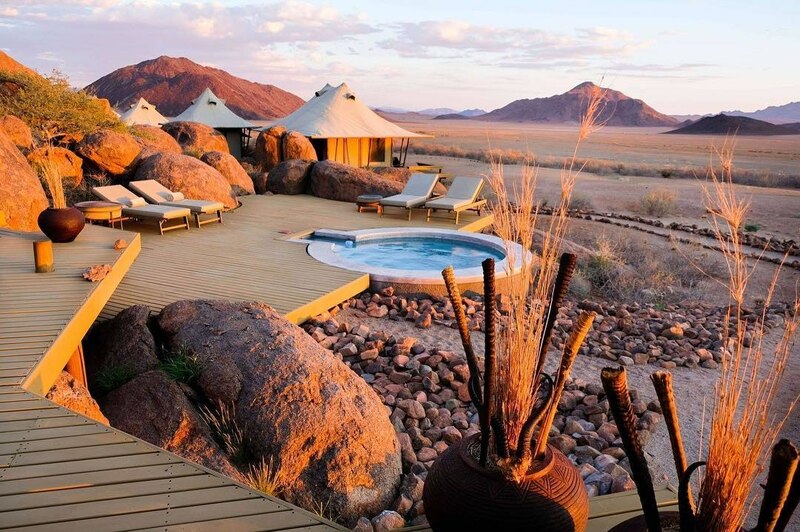 Wolwedans is made up of four camps that are right in the middle of the NamidRand Nature Reserve. This is one of the best spots for the eco-friendly tourist that wants to be really close to nature. They have a natural garden where you can get the most amazing greens for items on their five-star menu. The tents are lavish and luxuriously furnished. Think of it as the best indoor experience outdoor. This is also another natural understated luxury lodge. It looks like something out of a classic adventure tale. Flowing linen drapery, antique kerosene lanterns hanging around the properties and suites made of canvas tents. The staff here are warm and very easy-going. The food is amazing with a diverse menu filled with local delicacies and some of the options you’re used to. The outdoor fires are cozy and perfect for a romantic dinner in the wild with wildlife in the backdrop. This is also one of the best spots to see the raw unfiltered Namibia up close and personal. Set in the middle of the Damaraland, it is in a rustic environment where you’ll enjoy the first-class treatment. There you have it, a list of places you can visit and the things you can do to make sure your visit to Namibia is not quickly forgotten. Is there something we missed? Let us know!